and a Comedy Phony Remedy Pitch. It's more than an ACT, it's an ATTRACTION! All you need to provide is a stage or staging area and crowds of happy people. inexpensive and can be used for ground cover in the event of muddy conditions. 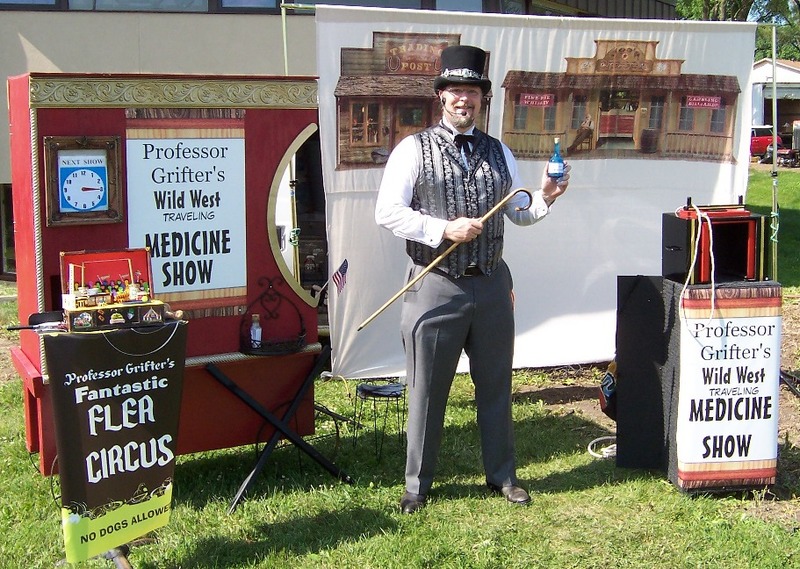 In the late 1800's and early 1900's, American physicians were scarce and poorly educated. sometimes found in general stores. testimonials about the miracle cure-alls between acts. major event. Shops closed, schools let out and everyone got dressed up to go see the show. from the sales of the products. common ailments and diseases were just some of the claims. than good. Though usually not before the show had already left town. 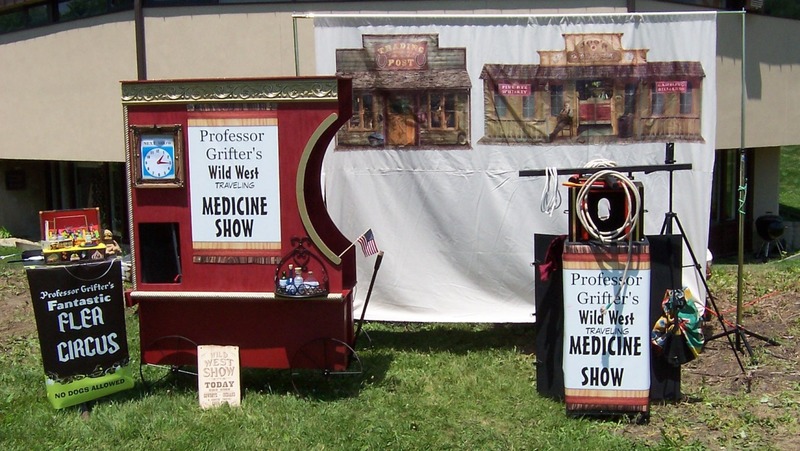 Traveling Medicine Shows doing business around the country. 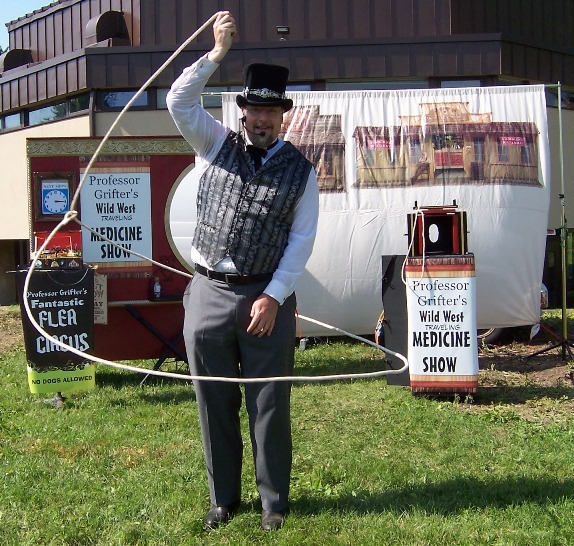 fairs, festivals and period themed events.